The Trail of Lights is now in its 48th year. Year after year, the holidays announce themselves with a promised set of scenes designed to give us that visceral sense of cheer: Santa beards and peppermint-flavored everything, red flannel scarves and gigantic mall menorahs all work to evoke our seasonal senses. And, of course, nothing says holidays like a million tiny, twinkling multicolored LED bulbs made in China. In Austin, where there is no nip in the air, no frost on the bough, no snow to crunch underfoot, those bright lights shoulder an even bigger responsibility for proclaiming it’s beginning to look a lot like Christmas. They'll be back in epic style for this year's Trail of Lights in Zilker Park, December 8-22. The 1.25-mile-long famed and funky tradition is "our true, Austin winter holiday celebration," says mayor Lee Leffingwell, adding that more than 400,000 people came out in 2012 to bask in the glow over eight nights. "As a city, we know how to host big events," says Mario Espinoza, Trail of Lights Foundation board chair. "The Trail of Lights is our special gift to ourselves." It was the first year the celebration was held since 2009, when the lights went dark due to a struggling economy and lack of funding. Last year, the city partnered with the RunTex Foundation, corporate sponsors including H-E-B and Dell, and other community leaders. Together the consortium raised $1.2 million to revive the tradition. Today, the city and the Trail of Lights Foundation made it clear that this tradition, which started way back in 1964 as a holiday gift to the city called "Yule Fest," is here to stay. "Austin's Own Holiday Party" officially returns for its 48th year, featuring the traditional 15-day format of years past. Mario Espinoza, Trail of Lights Foundation board chair, explains that returning to the original timeframe of two full weeks allows everyone a chance to experience what he sees as the city's way to come together with each other, amid the craziness of the town playing host to festival-goers throughout the year. "As a city, we know how to host big events, from ACL to SXSW to Formula One races at COTA," Espinoza says. "By the time December rolls around, our community is happy to celebrate together, and the Trail of Lights is our special gift to ourselves." Espinoza promises that establishing the Trail of Lights Foundation as a nonprofit organization will ensure the longevity and sustainability of the Austin tradition, and he is excited about the ways the event will play a more important role in contributing to the community. 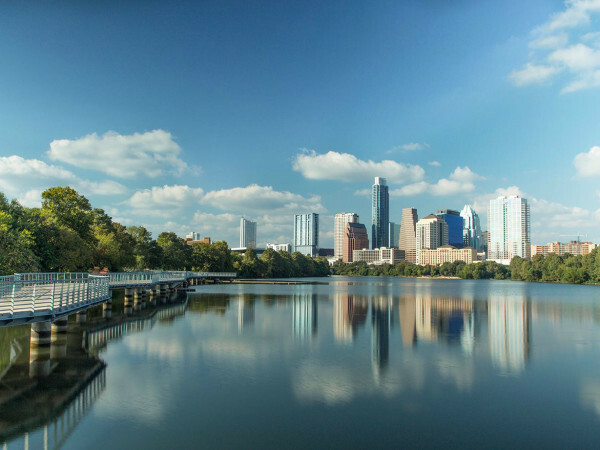 Look forward to visually stunning displays, expanded entertainment, a diverse sampling of Austin's food trucks, and opportunities throughout the trail to donate to local charities. Other new additions this year include more than 30 lighted displays highlighting favorite holiday characters and Austin icons; family-friendly activities; local, regional and national performers; and, of course, a visit with Santa. Oh, and that gigantic tree will be back, y’all. Because if we can't have snow for the holidays in Austin, we can still maintain that everything's bigger in Texas, with the world's tallest man-made Christmas Tree, topping out at 155 feet. It's never too early to start planning your evening at the Trail of Lights this year. Visit the Trail of Lights website for more information on the 15 days of holiday-themed nights, December 8-22, including a schedule of special guests and featured events.